A brief lunchtime encounter at Grosvenor Park, London proves a pivotal moment in the lives of two young adults. Ben barely has a chance to introduce himself to Alice when she is whisked away by her domineering colleague to Glasgow. Not Glasgow, Scotland as Ben assumes, rather to see her irate boss, nicknamed after the city. This misunderstanding sets in motion a course of actions that changes Ben’s life irrevocably as he becomes intent to find Alice once again…by getting to Glasgow whatever means possible! His loyal friend and flat mate, Dave, is on hand to help, even lending his folding bike to Ben. Before he knows it, he has been encouraged with his grandfather’s unexpected and unusual approval and involvement, to enrol on a charity bike race…one which is cut short by a tragedy within the family. After the meeting with Alice in the park, he soon sees her again…but the reader (and Ben) is aware that this is a hallucination…one that seems very real and with whom he converses. Gradually her appearances drift further apart until the end when Ben’s childhood trauma is fully revealed and the reason for his supposed mental problems are explained. Meanwhile, Alice continues to face a gauntlet of verbal abuse about her size at both work and from her parents when she visits them…and inevitably a downward spiral of eating ensues to escape her misery. Her daily humiliation saps her confidence and strength until she is weak, meek and at everyone’s mercy. The ray of hope in her days are Ben’s kind words in the park, a memory that supports her and she even makes up a relationship with him to her family and colleagues…one that to her surprise helps her ultimately and dramatically find her voice. The daily battles in life take a turn for the positive as the memory of their meeting is the catalyst to changes in both their lives. 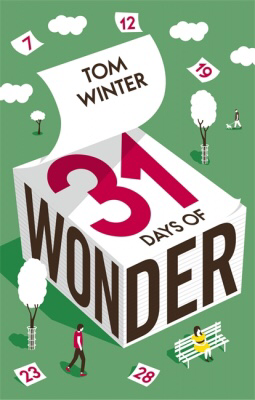 ‘31 Days of Wonder’ is a whimsical novel, often amusing – even laugh out funny at times – whilst also deeply profound and moving. It’s delightfully surprising in failing to conform to convention and become a straight forward romantic story and instead the lives of the two main character circle each other, their separate narratives mirroring but always kept apart. It is told from a third person viewpoint of Alice and Ben, each entry by them punctuated by either her location, train times or Ben’s location and distance from Alice. Each chapter is a new day, counting up to the titled ‘31’ and with all such counting devices the book easily becomes a compulsive read, which is abetted by the short segments and chapters as well as being written in the present tense. The theme of self-acceptance is all-pervasive in the book and reflects the author’s own journey to self-acceptance whilst battling with depression during the writing of this novel. After many re-writes over a long time, the author finally achieved the perfect ending…with light, positivity and hope reigning strong. This is a charming, beautifully written novel of self-discovery which is engaging and memorable. Definitely not to one miss and I am now keen to read Tom Winter’s other books. ﻿ I received a free copy of this book from the Netgalley in exchange for an honest and impartial review. ** This is the first of many books I hope to read whilst away on my summer break amidst the serene beauty of the Swedish natural world. Ahh…thank you so much! 😀😀 I’m sure the author is very happy and I did get a like in the tweet of this post from him. This sounds like a wonderful book, and an addition to my TBR list. I love the theme of self-acceptance, something I suspect a lot of us could be reminded of. Thank you for sharing your review. Hope you are enjoying your vacation! Well this is definitely one for the reading list and I can’t wait until it comes out in August. This looks as if behind the great cover is a great story. Not always the case in my experience. Thanks for sharing and an informative and well studentships as usual. Thank you Annika for another elegant and exciting review. You draw me in straight away and I now can’t wait to find out the fate of Alice and Ben. I feel such tenderness for them and hope they find richness and harmony together. By the way, the book cover is excellent, it stops you before you even read a word. This sounds like an interesting book. On my TBR list now. Sounds like an unusual story Annika, one that I hadn’t heard of, so thanks for sharing it. This sounds delightful. A bit of the unreliable narrator in there? Something I’m getting used to in many popular books. I like the theme of self-acceptance, despite considerable challenges both of these individuals face. Jacqui, it is wonderfully different and not what I was expecting from the beginning! I hadn’t thought of them as unreliable narrators but you’re in to something – their past lives are only slowly and sparingly revealed and this helps the reader to fully understand the motivation behind their actions – up to now! Oh, their challenges are numerous and I’m not surprised they’re damaged and struggled to face their real selves! This caught my eye because I actually had a student named Tom Winter. Very smart and an engineering major. Enjoy Sweden. I am off to Arizona tomorrow. We’re having a wonderful time so far and made many trips around the area with my son and his group of friends from the UK – it was fantastic to see their reaction; they fell for Sweden and didn’t want to fly home! Oh, I totally understand. Sweden is a gorgeous country. Flew over the Grand Canyon today. A lovely review, Annika. .. triggering emotions, ending on a positive note. Have a great holiday! book of self discovery, Annika! David, I feel if there is anyone with inner wisdom it’s you…although I wonder is the journey to self discovery ever complete?? A delightful and yes, sweet book . 😀 Warmest wishes to you in all your endeavours! Self-acceptance and self-discovery are two aspects of living a life of tranquility as, eventually we have to follow this path for inner peace. I think I would enjoy reading this book. Balroop, thank you so much for your thoughtful and incisive comment…it’s not always easy to undertake and complete these journeys into ones inner self, but I agree, eventually so necessary. Luckily the two characters here are relatively young when coming to this wisdom! A rewarding read and one I’m sure you’d enjoy. Wishing you a lovely weekend! 😀 Oh yes, I’m having a wonderfully relaxing break, albeit it busy at the moment with my son’s friend’s arrival yesterday! I still think they’re stunned by this oasis in the forest…loving the long walks, lakes etc. I am really looking for good books to read as I’ve just finished some of my downloaded ebooks. This helps a lot! Thanks Annika! Yeah! 😀 Well, as you can tell this is one I highly recommend and if you do read it I would love to know your opinion about the book! 😀 So glad to be of help – it is always a delight to share books here on WP! Have a great holiday Anika…. Many thanks, Bette! 😀❤️ Having a lovely break, albeit very busy at the moment with my son’s friends visiting for a few days!! Showing them all the sights! Hope you’re having a peaceful Saturday. Your reviews always make me want to buy books, Annika. This sounds wonderful and every once in a while, it’s nice to read a story that ends with light, positivity, and hope. Thanks for the recommendation! 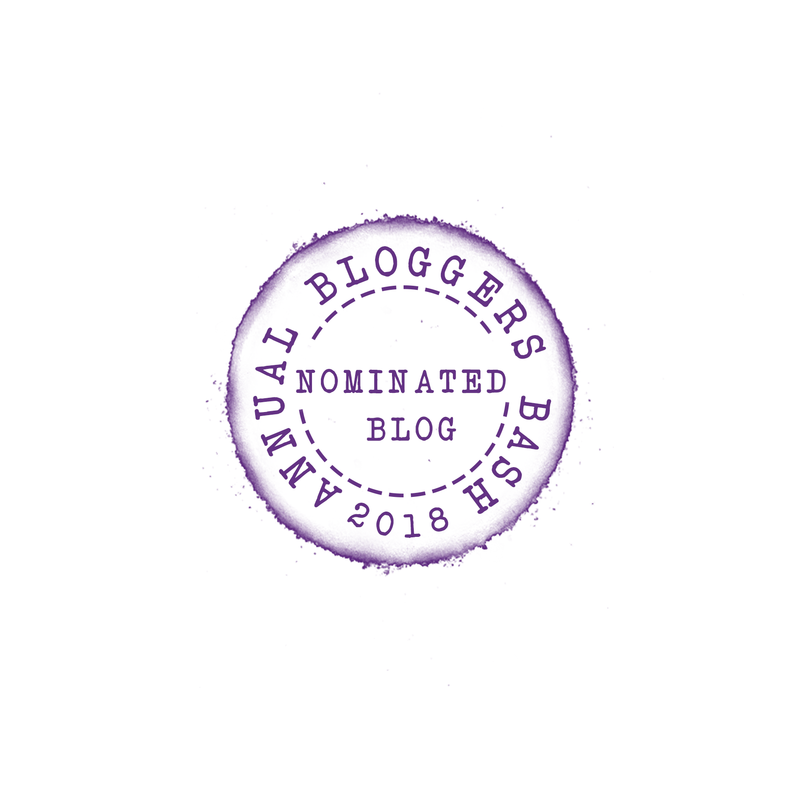 There are about 3 bloggers who post book reviews and always make me ooh and aah and head to Amazon. Yes, more boring reviews please (Not!). I’m loving that cover…very unique. Thanks for the review, it sounds like a great story. Enjoy your vacation! I totally agree, Jill! A unique cover and its striking image is what attracted me to the book in the first place (I know it shouldn’t be so!). A wonderfully touching read…just perfect for the holiday. Having lots of fun so far, keeping very busy with visitors! This sounds like a wonderful story of self discovery and eventual affirmation of identity. Hoping you’ll tell us about your other vacation books.